The Eon series is bigger and brighter than the Dragon light, using next generation LEDs and our high efficiency lenses. They are rugged enough to use outdoors and elegant enough to use indoors. Choose from several LED colors and exterior finishes. Don't be fooled by the number of LEDs, each of these powerful devices produces as much as 20 times the output of older style LED lights. Like our dragon light series, the lens bodies are constructed with high-impact automotive-grade polycarbonate and are fully sealed with our proprietary urethane. Combined with our 100,000 hour (color), 50,000 Hour (white) life and high-polish stainless steel cases, these lights are perfect for use in harsh environments, yet aesthetically pleasing enough for indoor applications. 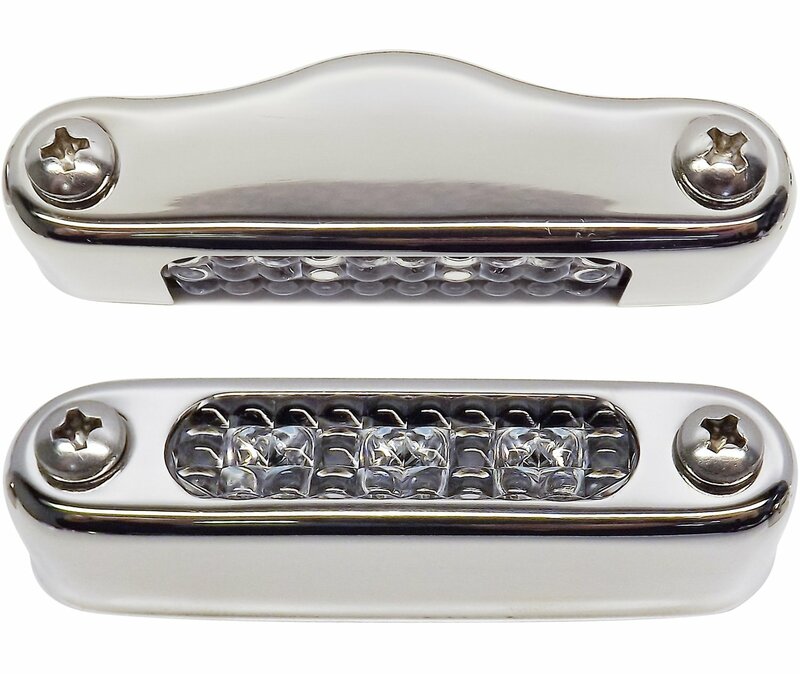 Eon series light bodies can be mounted in two case styles (as shown) to direct the light parallel or perpendicular to the mounting surface.